The PA said on the 23-24th of April that they would hold elections in about 5 weeks. That would mean elections would be held around May 29th of this year. In what direction are they planning to go? Towards their own state living peacefully next to Israel or eternal war with Israel, for they should realize by now after almost 66 years of Israel's existence and constant growth and determination that they will not drive her into the sea. The present PA is aiming for constant war. They show this by brainwashing their children into hating Jews and Israel. Recently an official PA TV program showed a young child saying a poem that called for "join a war that will smash the oppression and destroy the Zionist's soul." How much clearer can you get than that? The TV show has had 3 other children say this same poem. The video shows a very young girl in traditional Palestinian dress wearing a pendant shaped like the map of their future Palestine but the problem is that it shows the entire area of Israel. Therefore, again, this is another dramatic demonstration of their intent to take over all of Israel. This girl is shown saying the poem in many different locations, no doubt giving the notion that it is the different parts of Palestine; in a field, on the beach and in a market. One part of the program shows her behind barbed wire with pictures of Palestinian prisoners in the background. What they do, I've noticed, is take history of the Jews and remake it into their history, thinking that if it worked for the Jews it should work for them. Prisoners are in a prison, not behind barbed wire such as Jews were during the holocaust. Just this past month Netanyahu released over 60 prisoners because of the demands of Abbas who wouldn't talk about peace between the two without this happening. Then Abbas went against his word anyway by teaming up with Hamas. It this sequel, she says, "My name is Palestinian. I've etched my name on all the town squares. Saladin calls to me from the depths of my heart." Saladim was a Muslim conqueror of Jerusalem, in no way connected to the Palestinians other than he was a Muslim. Fatimid leaders of Egypt ruled until 1171 when they were defeated by Saladin, who became famous during the Crusades. Saladin was a Kurd who captured Cairo and put an end to the Fatimid rule. He was a Sunni. In 1175 he declared his independence in Egypt and formed the Ayyubid principality. He defeated the Crusaders in the battle of Hittin on July 4, 1187 and soon after that retook Jerusalem. The history of Israel is one of constant changes of Muslims fighting other Muslims for ownership until it was in the hands of the Ottoman Empire (Turks) that lasted for 400 years until WWI when they lost it to the allies. (England, France, USA, etc). They had been on Germany's side. The poem neglects to mention that Jews fought alongside Muslims in the Crusades. They were both targeted for death by the Crusaders who couldn't tell them apart anyway. The poem forges ahead with "All my Arabness calls me to vengeance and liberation...Thousands of prisoners and thousands who are jailed call to this great nation and call to millions. ." As you see in the picture above, they are claiming all of Israel as their "great nation" of Palestine. Yes, many Palestinians have been jailed for atrocious acts of killing Israelis. They have bombed and killed and when they do they are jailed. Even though they have taken lives, Israel has no death penalty for that except in extreme cases in the past such as Nazi heads who ordered thousands of deaths of Jews. It does seem like the Arabs are more interested in taking vengeance than in ever making peace. As for liberation-no country liberates murderers. They were given sentences amounting to so many years. They would be freed when their sentence ended. The British hung Jews who fought against them before 1948 in "Palestine regardless of whether or not they had killed anyone. If they were part of the Stern Group or Haganah, they had had it. "They say: To Jerusalem, the direction of prayer". It is the Jews who have always prayed towards Jerusalem wherever they are. The Muslims pray towards Mecca where there Qiblah is. "To war that will smash the oppression and destroy the Zionist's soul and raise the Palestinian banner in the world's sky and Strengthen my word that goes on: Palestinian, Palestinian, Palestinian." I note the emphasis on the person-a Palestinian, not the land or country of Palestine. To me the poem involves the people and who they are-which in truth they really are not. They are being told over and over that only they-the Arabs, are Palestinians. When the Arabs came to Eretz Israel in the 1880's looking for work with the Jews who were building their country, they said they were mostly Syrians when asked; not Palestinians. Palestine was the name given to Israel and Judah by the Romans in 165 CE after Bar Kochba was overtaken in a 3 year war. From about 1900 until 1948, both Jews and Arabs were then referred to as Palestinians on their passports and writings and by themselves. These so called Palestinians are mainly from Syria but also people had come to work from all over the Middle East who needed jobs. It is a conglomeration of many Arab people now forged together under the one name of Palestinians. Now, the question is, are they going to want to create their Palestine now and live in peace or do they intend to keep on fighting Israel. Perhaps the election will give us a clue. Who will be up for election this time? 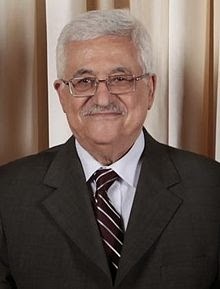 Abbas has already been President for the past 9 years when he was only elected for 4 years. Now that they have reunited with Hamas, does that mean they will unite as one and have one group leading from the 2? From Time Immemorial-the origins of the Arab-Jewish conflict over Palestine by Joan Peters- on who the Palestinians are and what countries they came from.